In March, Julian Assange, founder of WikiLeaks, was cut off from the internet in what has amounted to the silencing of the world-famous publisher of secret diplomatic, military and political documents. Assange's removal from the digital public square "was the first domino to fall in a series of increasingly draconian censorship measures" that have surpassed Voz's worst expectations, she wrote in an op-ed for Disobedient Media published in late October. Voz joined Radio Sputnik's Fault Lines Friday to discuss the selective censorship of alternative media sources like Assange and how it has been part of a worrying trend in the Western media landscape. ​According to Voz, conspiracy theory and vitality supplement peddler Alex Jones' removal from Twitter, Facebook and similar social media platforms was the proverbial canary in the coal mine. "Examples we were given this year of coordinated multi-platform purging of a journalist or an alternative media voice was that of Alex Jones. No matter what you think of Alex Jones or InfoWars, even if you outright hate them, it's really interesting to see that that was the first example of all these platforms purging him at once." "And it took place one week — not months — one week after InfoWars had published a very successful petition in support of Julian Assange. This latest purge is a follow-on from the silencing of Assange, after we saw Alex Jones and InfoWars purged from multiple platforms," Voz said. In early October, Facebook and Twitter targeted some 800 dissident voices and news outlets including The Anti-Media, The Free Thought Project and PoliceThePolice, Sputnik News reported. Twitter, for its part, announced on October 17 that it had published the full dataset of tweets from Russian and Iranian "troll farms." Only it hadn't: it provided this data to the Atlantic Council's Digital Forensic Research Lab, which receives generous financial support from Gulf monarchies, China and NATO. However, it was Facebook that pioneered the budding relationship between Silicon Valley and the military intellectual complex. The Atlantic Council's DFR Lab and Facebook inked an agreement in May 2018 to combat "bad ads and a lot of misinformation" on the platform, according to a company announcement. 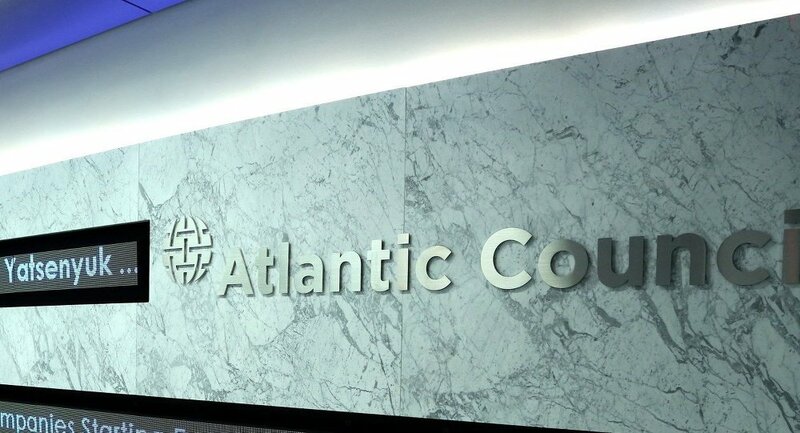 According to Voz, The Atlantic Council has a history of pay-to-play behavior. "In August 2016, the New York Times reported that the Atlantic Council ‘has seen its annual revenue grow to $21 million from $2 million in the last decade' by offering ‘access to United States and foreign government officials in exchange for contributions,'" according to a 2016 report from The Hill. Facebook's deplatforming of The Free Thought Project and The Anti-Media has raised eyebrows over whether the social media giant acted in good faith with these content partners. "In July, Facebook assigned a human representative to The Anti-Media to help us make more money on the platform because they viewed us as a high-quality publisher," according to a Facebook post by Nick Bernabe, Anti-Media's chief executive. In September, Facebook gave the group "$500 in free advertising." "Two weeks later, they say we're part of some vast, Russian-inspired conspiracy to affect the outcome of the elections and stir up political debate in the US for profit," Bernabe underscored. "Legitimate journalists [have] been purged in a coordinated way from Facebook and Twitter," sometimes even on "the same day," Voz told Radio Sputnik on Friday. "It really does seem like there is an overt and blatant development in censorship, where there's not even an attempt to appear legitimate. I think that, in itself, is one of the scariest things about the situation," she said.